Share your hope and joy in the Lord Jesus Christ, that is the reason Jesus lived, died and was resurrected to sit on the right hand side of Our Father Almighty God Jehovah, to make intercession for all who believe and have faith In Jesus Christ. Sharing the gospel of Jesus Christ and influencing those around you to believe in our savior is your purpose as a sincere Christian. 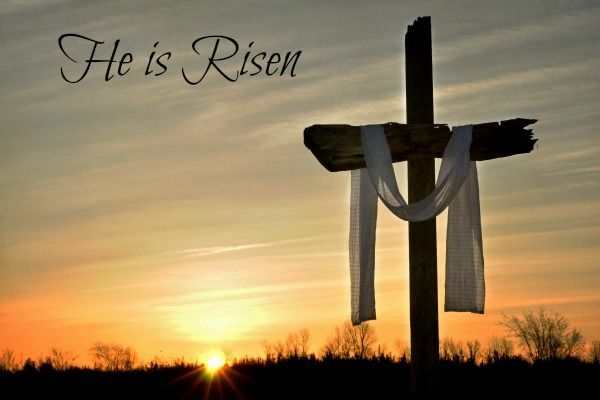 We rejoice in the resurrection of our living Lord who hears and answers our prayers. We want to help others with the peace, joy and good will of our faith in Jesus Christ, especially on the day he arose again from the grave to give us eternal hope in Jesus Christ. You are standing near someone who is hurting. Have compassion on them, no matter how bad they look and act, pray for them, care for them and give them a good word of hope. Make the difference in someone’s day, by smiling at them, speaking to them and say something kind to them. The cares of the world are weighing them down, but your kind look, smile or good word can lift them up and give them hope. God’s compassionate love poured out upon the world is the evidence given to humanity before the return of Jesus Christ and the deadline for all who are called to come to Jesus Christ before the end of the world. Your choice of how you live your life consists of your purpose and reason in how you spend your time, effort and money during your lifetime. It is how you are living now! Did your choices serve you well? OR not? You choose your God, your profession, your companions, you choose what you want to think and act on, you make your own good and bad choices in life. Then you only need to ask yourself one question in life on all directions you take. Why did you choose to do or say what you have said or done? Your decisions cause you to be dead(not connected) to God or dead(not connected) to the world! You are either alive (connected) with God and dead (disconnected) to the world, or you are alive (connected) to the world and dead (disconnected) to God. "Whether that act of courage is to speak out in honesty against an impending danger or to physically act to intervene in a possibly fatal conflict, courage comes from within their inner state of confidence. For a Christian, it is called faith in God and confidence in one’s self to be moved by the Holy Spirit for a victorious outcome of a bad situation." “Profound truth brings hope, healing and heaven to those who understand who Jesus Christ is, and know that he tells his people the truth. To know who Jesus Christ is in full truth is to love him." series of Bible Study books. Christian counseling is included with scripture teaching. "We only have victory when we have overcoming faith in Jesus Christ to reveal to us the reason for the problem and how to handle it better the next time." Coming Soon! Watch for the date I begin to teach the free Bible Study classes that accompanies the Foundational Faith In Truth Bible Study Series! I will be teaching on our YouTube Channel! It's better if you have each of the books to refer to when I teach, but it isn't a requirement. It's easier to follow along and recall a lesson better when you can read the subject matter and hear it explained. Excellent Book..a must read for all who want to know more about Jesus Christ and the Holy Bible! Cox believes many Christians, including some ministers, have an elementary understanding of their faith, which hinders their prayers, binds them to sin, and weakens their witness. She aims to counteract the “profusion of confusion” among Christians by teaching the absolute truth of the Bible. To this end, she urges readers to reflect and discover “mind-hooks” or false teachings that have twisted their thinking and behavior. She encourages daily repentance, Bible study and prayer for a victorious life. Her wisdom and insight into Scripture bring revelation and conviction as she clearly explains the traits inherent to righteous living, such as integrity, self-discipline, spiritual discernment, and more. 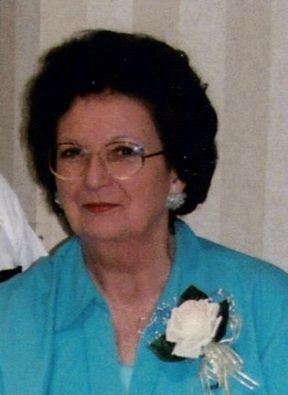 Parents will value her candid discussion of proper discipline vs raising children with too much freedom, which she equates to abuse in the form of “fatal neglect.” Further, Cox’s transparent humility in sharing her own past confusion over the belief that grace was a “license to sin” exemplifies her Christlike humility and bolsters her argument that correcting wrong ideas fosters spiritual growth. Cox’s biblical wisdom is congruent…with her beautiful message of love for lost souls. The truths she shares are biblically sound and valuable to Christians both new and seasoned. Cox’s…contribution to Christian teaching has the potential to be exceptional. Foundational Faith In Truth Bible Study Series by Joan Jessalyn Cox has the first two books now available. New Goodreads & Amazon Customer Review! Victorious Faith was a promising read for intermediate to mature (Christian) believers. Moreover, Joan J. Cox intent is for the reader to gain spiritual knowledge, wisdom, and growth in Christ. She expounds on the meaning of a born-again believer, where there was a passage I had to read several times about a believer imminently learning about Christ and reading the Bible but further elaborates on how they are left wandering, and searching for answers as a new believer. We, as mature believers or ministers, leave ‘new’ believers wandering because either our relationship is not solid with Christ, or leave them on their way floundering in the water per se. We are to see our faults and stand for correction, and in love, come back to Christ. I did like how she covered other related topics like back-slider, lukewarm Christians, etc. There were some things the author implanted in my brain cells that I did not consider or not fully aware of even though I consider myself a bible scholar but always open to grasping and comprehending new things or see things in a new light pertaining to the Bible itself. Additionally, there was some terms and passages repetitive but hopes the reader digest it well. One of my favorite chapters was chapter 2 where Ms. Cox explains and explores on the importance of being a believer, understanding your spiritual walk with awareness which strengthens your faith, building confidence not relying on self-confidence or the world’ validation and ignoring those poisonous people that will lower esteem or weaken your faith. I also enjoyed chapter 12 in Section 2 on “You are What you Believe” where it covers on mind hooks that we internalize ever-present opinions (advice) of which replays in the mind. We have to be careful of evil, selfish intent(s) with a false social mask worn when they are discussing things with you—for it may not be for your welfare or benefit but their own motives and intents. As a believer and Bible scholar, there were some passages I attempted to clarify since it speaks on spiritual wealth differs from worldly wealth, and business people do not have the same characteristics as believers, which I have seen some Christian business people are not much different from non-Christian business people. So therefore, does this not make them a true Christian since they do not display Godly practices or characteristics? Or they are still babes in Christ (new believers who choose not to grow spiritually)? She provides a passage in which I paraphrased “a good character must trust the Lord to provide all they need, where they do not depend only on themselves which produces pride and not faith and to totally depend on faith in the Lord that He will provide.” We have to mature as believers to fully trust and have faith in the Lord. One of my favorite lines in reference to the man/woman in the mirror is to see Jesus’ reflection in their life instead of seeing your (image of man) sin staring back at you. Therefore, a righteous life is evidence of salvation’s completed work. I would recommend this for Bible Studies, or those who want to get deeper and enriched in the Bible, who are seeking for the “meat” of the Word and no longer accepting the “milk” which simply means that you are ready to grow spiritually and no longer just someone who accept Jesus as their Lord and Savior. Amazon and Most Bookstores Ask For It ! Victorious Faith In Jesus Christ: Creates Good Christian Conduct by Joan Jessalyn Cox is the second book in the Foundational Faith in Truth Series, a compelling work that prompts readers to look past their capacity to endure and embrace the strength that flows from believing. This book offers a road map to genuine spiritual growth and shows readers how their relationship with God, one that is deeply rooted in the desire to know God better and to transform the knowledge of Him into practical life, can become a catalyst for a transformed and inspiring life. The author considers one of the most challenging areas of the life of the Christian—trial. She explores the nature of the challenges that readers encounter in their journey of faith, and offers compelling advice on how to use such challenges to deepen their understanding of God’s word and to achieve victory. There are so many powerful and inspiring passages in this book and readers will enjoy the masterful use of biblical references. One has no doubt that the author writes from a place of personal encounter with the Living Word, a place where she’s experienced the transforming power of God’s truth. I found some points to be very revelatory, such as: “We only have victory when we have overcoming faith in Jesus Christ to reveal to us the reason for the problem and how to handle it better the next time.” Victorious Faith in Jesus Christ: Creates Good Christian Conduct is well-written and the writing style is simple and conversational, making its message very accessible. Joan Jessalyn Cox knows how to reach readers, addressing them where they most have the need, and talking about realities that will help them deepen their spiritual life. 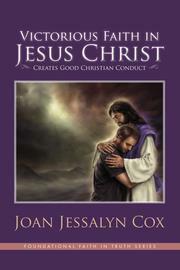 Victorious Faith In Jesus Christ: Creates Good Christian Conduct by Joan Jessalyn Cox Amazon Order Now! Get the book that will excellerate your understanding of the Bible, and inspire you to be your best for Jesus Christ. Barnes & Noble Order Now! The value of the books written for the Foundational Faith In Truth Series is found in in depth teaching of the Bible, it is all revealed as Joan clearly explains the truth of God's word. When teaching the Bible, Joan Jessalyn Cox combines educating the reader as to the more precise truth through explaining the exact meaning of words, as she educates the reader, for a greater understanding of the Holy Bible. Every subject is verified as to it's truth, by the exact scripture to support it's various points of explanation. The scripture is written out to flow with the teaching so the reader can see the verification of it's truth. Every word in the word of God is important, and nothing will be left out when we teach the full gospel of Jesus Christ. You will be taught the full truth of God's word more accurately. Too long Christians have been robbed of their full benefits and spiritual heritage by not having the Foundational Truth presented to them accurately in its completeness so they can be established in the full faith of the Holy Bible. Joan Jessalyn Cox has incorporated her years of counseling and gives great advise to a better way of life, through teaching moral values, and good godly behavior for manners, to improve Christian conduct. and most of your favorite book stores world wide. Begin your in depth bible studies now, because you need to know your compassionate companion Jesus Christ better, and to be counseled as your go deeper and stronger into your faith in Jesus Christ. keynote speaker at Women's conferences, and spoke at Christian Writer's Conferences. writing the Foundational Faith In Truth Series. To get the absolute truth of God's word for indepth bible studies, into as many hands as possible. To revive faith in Jesus Christ, through thorough understanding of God's voice of truth. To help each Christian to know the absolute truth of who Jesus Christ is, and why matters to you. How to have heart-felt Godly love, hope, loyal faith and the blessings that are reserved for every Christian, with the benefits of Jesus Christ's promises. To know and accept your Godly heritage that is reserved for you when you understand and obey God's truth in compassionate, charitable love. God's heart felt love is given in compassionate concern for others well being. Start your journey into your own spiritual maturity now! Get on the right road to the fullness of God's own voice of truth. In the book of Revelations in the Bible it tells what God hates, and at the top of the list is the deceitful use of God's own words. Humanity has so distorted the word of God, they have become more like the world and less like Jesus Christ. Until you return to the full truth of God's word, you will still remain confused, and out of alignment with the word of God, and his Holy Spirit. The warning came and no one listened! You are living in a dangerous world of turmoil, because of disturbed minds. People are being brainwashed in evil violence through countless means of digital communication. The urgency for change must begin within the hearts and minds of people who desire to know how to think and live together with the goodness and peace that only Jesus Christ can give. The reason Jesus was born, lived and died was for people to live an honest upright life. Ignorance of God's truth can never produce faith in Jesus Christ. Faith is founded in one's heart through the accurate understanding of God's truth, that is established in one's mind through their own dedication to reading the Bible for themself. You need to know now how to rightly judge the people who are suppose to be ministering to you. Here are the three criteria for evaluating if you are being taught correctly. The message preached, or lesson taught, or guidance given as advice. Must be given for the right reasons. To help you as the listener to learn something of value to use or apply. The message be the right message, lesson or advice. Appropriate to your particular need. The message must be delivered in the right attitude, to be acceptably received and utilized. Truth is a proven precept which produces accuracy in logical thought and actions. Truth produces value mentally, physically and spiritually which is sustainable for improving one's life. Truth produces a sound mind for sane thinking. Truth must come from a source of truth. Truth from the Holy Bible is to produce accurate concepts for sound minds to know how to live a moral upright life and to survive together in peace. To love one another means to have compassionate concern and care for all people. It is to know the value of living a good life, and of adding value to others life. It produces a meaningful life! Jesus Christ came to earth to teach us how to love one another with a pure heart in the righteousness of Godly ways to produce peace. To know Jesus Christ in his fullness is to love him with a whole heart. You receive a thorough lesson in understanding Jesus Christ, and in how to love with a whole heart perfectly. The emphasis of truth within our book, The Spirit of Truth is Power, Reviving Faith in Jesus Christ is because so little profound truth is being taught about Jesus Christ. Many people use the word truth, very often, with so much error it is astounding! It time to rest and enjoy the truth of Jesus Christ. Get a cup of hot coffee or tea, read the Bible and The Spirit of Truth Is Power as a supportive way to reach your spiritual maturity. If you honestly want to know the full truth of God, it's time to lend your self to reading the Holy Bible, to prayerfully ask Jesus Christ to “illuminate” the word of God as you read it for yourself. It's Time To Know The Full Truth of God! I will be honored to help you, to better understand the Holy Bible. Order Now ! For Greater Insight And Understanding Of God's Word! Both the ebook and book in print is available in most bookstores world wide! Book reviews are very important for most people in selecting a new book. If they don't know the author or their work they rely heavily upon other peoples opinion of a book they've read. 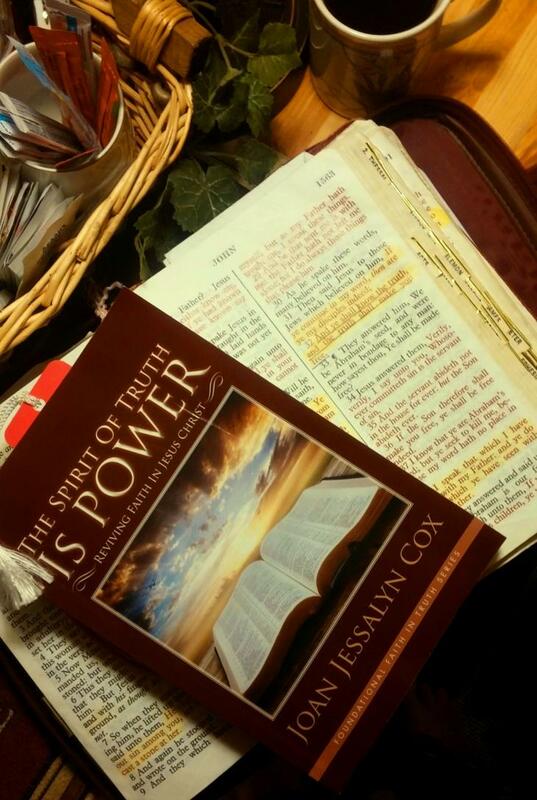 The greatest compliment you can give me as the author of The Spirit of Truth is Power:Reviving Faith In Jesus Christ and Victorious Faith in Jesus Christ: Creates Good Christian Conduct is to follow up your reading the book with a review. I would appreciate an honest review if it has given you a greater understanding of the Bible, encouraged you, or given you hope. If this book helped you in any way to be strengthened in your faith in Jesus Christ, I would appreciate your review at one of the following locations, or any of your favorite book stores or on online book stores or blogs or social media placeso share your opinions. Here are two links to book review pages at Amazon and Barnes and Noble Book Stores. Thanks, for sharing your thoughts with your friends, family and favorite groups. Click here to see who's online!